This is a guest post by D.L. of TheLucidDreamSite.com. Ryan offered me the opportunity to share my perspectives on nootropic supplementation and its role in a lucid dream induction program. To begin with, I have a vested interest in this topic because I supply the marketplace with a product which supports the mental state needed to achieve lucidity. Be very skeptical of anything I say. Now, before getting to my chemical conclusions I will tell you in fast forward how they developed. I had my first spontaneous lucid dream when I was 25. I have always been interested in dreams and I’m a vivid dreamer, but I’m not a “natural” lucid dreamer. That first experience was unusually long for a novice, and I think that if I had a less intense first-time my life would be very different today. Why the dream occurred was most likely due to a perfect storm of serendipity. Surrounding that first, epic lucid dream, I was feeling super-charged in waking life. I was reading Tony Robbin’s Awaken the Giant Within for the first time and I was writing down all of my goals. I was eating super clean and working-out and looking towards growth in all areas of my life. I had just bought a townhouse and was sleeping within new walls (unfamiliar surroundings can instigate stronger REM). For the next half-hour I explored my first dream environment while fully aware I was inside of a dream. I didn’t know about the critical question or reality checks, I just knew. Of course, you should definitely practice reality checks and all of the time-tested lucidity techniques. For one thing, the last part of the brain to “fully” develop does so in the mid-20’s. A little earlier for females. 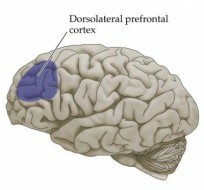 This is the Dorso-Lateral-Prefrontal-Cortex (DLPFC) long predicted and recently evidenced to be pivotal in lucidity. The DLPC is involved in our working memory—which is where waking-like consciousness “lives,” where our plans are held in mind. The DLPFC is proactive and purposeful. Evolutionarily more primitive areas of the brain handle more instinctual behaviors. Things like fight or flight. Feeding, fornicating. These also happen to make up what I call “The Many F’s of Dreaming.” You can add in falling and flying. Dreaming usually involves these “F” themes because, in part, the DLPFC is inhibit during REM-sleep. Coupled with a very active amygdala to instigate primarily threatening themes, in dreams we have been chased, we have fallen off of cliffs. We get older and in dreams we arrive naked. Our deadline is in 5 minutes and nothing is working. We are back in school taking a test with impossible questions that keep changing. We see the dead (sometimes this is beautiful, too). I know, “he must be psychic!” Dream themes are very generic. If you have yet to experience full-on lucidity, yes—it is everything you are hoping for and much more. It has its limitations. You cannot share a dream like you can a waking experience. You may not have much control at first at certain tasks. You may never have good control over some things. But the things you CAN do! The beauty of the sky! All of the weird and wonderful things you think of doing and the surprises which unfold. The good news: The induction techniques and best-practices talked about here on Dream Studies Portal, and on sites like TheLucidDreamSite.com and World of Lucid Dreaming can really work. 2. A critical and proactive outlook (and these two situations are normally not friendly with one another). And then there are lucid dreaming supplements—you’ve tried them or you’ve heard about them. Some people are anti-supplements when it comes to lucid dreaming. “NO!” to supplementation. It’s not “natural.” And if you can easily induce lucidity at will, that’s fine. Some people can occasionally reach lucidity, but wouldn’t mind more support. Others want a pill to do all of the work for them. This is where I stand: Learn the basics first and develop a strong base. This starts with a dream journal. A good goal is to be able to write down three or four dreams per night, an episode after each major REM period. This is not something to do on a regular basis. It is exhausting and horrible. But a few weeks can do wonders. This record keeping, when done right, greatly enhances dream recall and vividness, and shows you your dream signs. 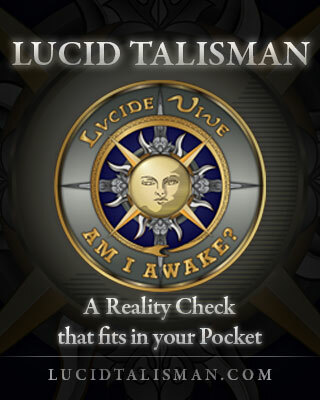 And of course the Wake-Back-To-Bed (WBTB) method of lucidity induction – that’s Lucidity 101. OK. But what if there were a pill that really could help? Well, there’s plenty. Let’s run through some classes of chemicals and consider how they interact with the dreaming mind. First, something familiar…caffeine. Caffeine is well-known to benefit the waking mind. It also makes it impossible to sleep while in your system. Same goes for any classic stimulant. For a cognitive boost but without the jittery energy of stimulants, we have nootropics. Nootropics are chemicals which support various cognitive functions but without physical stimulation or addictive potential. I first heard about the grand-daddy of modern nootropics – Piracetam – in the late 90’s, but never tried it until many years later. Piracetam is in a sub-class of nootropics known as racetams. In large and frequent doses many people find Piracetam to make their senses sharper and their working-memory more robust, with very little reports of unwanted side-effects. When I first began experimenting with Piracetam I wondered, of course, “How does this stuff act on the dreaming mind?” Turns out that Piracetam and most other racetams actually inhibit dream recall. Unexpected, but experience trumps a hunch every time. 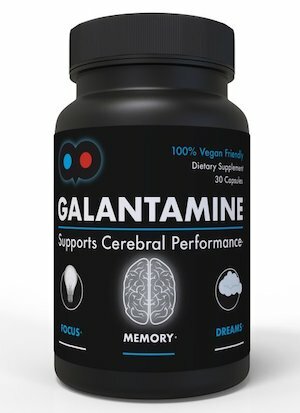 Many years ago I tried a Galantamine supplement for the first time. It was a game changer for me. Almost. I found something that, at least for me, greatly increased the mental chemistry lucidity can exist in. But Galantamine is not without a price. Yes, it is relatively expensive, but it also can be too much on the brain and leave me with a headache upon awakening. I’ve tried other lucidity supps, but nothing is nearly as consistent as Galantamine (other nootropics and herbs – such as Silene capensis and Calea Z.—can “flavor” lucidity in interesting ways). And similarly to how I realized that my dreams are the same dreams everyone else has (in thematic structure), I found that most people reacted the same to purported dream formulas as I do. Some consistently work, some do not. None work all of the time for everybody. Galantamine does its magic by inhibiting the enzymes which break down acetylcholine. Acetylcholine is important in brain circuits which underly dreaming and REM-sleep. Another chemical which acts like Galantamine is Huperzine-A, so I thought this should work well for lucidity. Actually, you may be familiar with the book Advanced Lucid Dreaming: The Power of Supplements, by Thomas Yuschak. If I recall correctly, he had the same hunch. Galantamine, unlike Huperzine-A, acts on special acetylcholine sites on neurons called Nicotonic Receptors. Yes, these are what nicotine works on also. It appears that for many people Huperzine-A actually inhibits dream recall and can even block Galantamine’s efficacy if they are taken together (more on REM-suppression as a tool below). The problems with using Galantamine alone are that many people get a bad headache after taking an effective-sized dose for lucidity induction, and worse, it can be difficult to fall back-asleep after taking Galantamine (and I recommend Galantamine be used alongside the WBTB method of induction). The headaches are mitigated by taking choline along with the Galantamine—this gives your brain the raw materials to manufacture new acetylcholine and avoid some of the brain-fog which could ensue. Many people have experimented with combining this or that supplement with Galantamine in hopes of enabling easier sleep without diminishing the effectiveness of Galantamine. The first Galantamine product I used is called GalantaMind, and it does include a small amount of a basic choline. What I found was that Galantamine can be complemented by taking it with several choline sources, including Alpha-GPC and CDP-Choline; not only do these help replenish choline stores to normal levels the following day, they also directly affect circuits involved in both REM-sleep and waking-like thought. What about Melatonin? It’s good for sleep, even useful for REM-rebound, but not for taking alongside a direct REM-stimulator like Galantamine. Dreams get “blocked.” This brings up a good point: It is very possible to take supplements which temporarily inhibit REM-circuits but then instigate a REM-rebound hours later. The popular nootropic AlphaBrain can do this; my own formulas called Noo Brain and Day’s End can do this. Possibly Melatonin alone can do this, but the half-life of Melatonin is short so timing would have to be adjusted. Although I do not think it is necessary, Yuschak offered the idea of taking a trilogy of formulas for lucidity induction..one to instigate the REM-rebound, one for direct REM-stimulation (along with the WBTB method), and then a racetam supplement the following day to counter any tolerance build-up issues. Eventually, after much trial and error and online-forum reading, I found something that combines well with Galantamine for direct REM-stimulation, enhanced critical-thinking, and without interfering too much with sleep: the amino acid l-Theanine. Theanine is the component in tea which buffers the harshness of caffeine. Calming yet awakening. With the Galantamine, the cholines, and Theanine in the proper ratios, Lucidimine was born. Lucidimine—my answer to lucidity supplements—has been receiving good reports, but, again, I recommend giving a non-supplemented program a chance for a while before thinking that a capsule or pill is the best approach for your lucidity attempts. Some people take Lucidimine before bed at night, rather than with the WBTB method. Some people do not use Lucidimine for lucid dream induction at all but take it during the day. Careful experimentation is fine and sometimes surprising. As with any dietary supplement, make sure that the ingredients are not contraindicated for any other medications you may be taking. Lucid dreaming and nootropic-supplementation—together and as separate topics—are still very young. I am excited to see where people take these things as more and more folks begin their journeys. I have been moving away from superstitious beliefs for some time now (we all have them), and it looks to me like people cling to a lot of wacky ideas because they want there to be something “more” to this life than the 9-5 grind. So people latch onto some crazy things. There is nothing I know of crazier than a BIG lucid dream. AND lucidity is a real phenomena. Even if it is all in your head, it’s plenty real. Something stranger than you can normally imagine is available to you, no faith required. Even if we don’t go to a parallel Universe in dreams, even if we cannot have shared dreams (yet), we can learn how to wake up to increasingly expansive levels of awareness (in dreams and while “wake”). Nootropic tools may be helpful for support but are definitely not necessary for everyone and they cannot do the basic work for you…practicing induction techniques, stabilization methods, goal-setting—all of it. I do not see the need to take supplements for dreaming more than a few times per month because not every night is ideal for induction, and if safety is your concern—as it should be—less can be more. Always start with a new supplement in the smallest dose available—usually one pill/capsule. I think a sensible path to lucidity is to combine techniques which complement one another and let their effects compound: Build up some sleep debt by working hard at your daytime life and pushing the rest envelope…until you can sleep in…but interrupt sleep using the WBTB method…when, if you wish, you can take a supplement…while being cognizant of your recent dreams and dream signs…while having a plan for how to test reality and stabilization. D.L. is Chief Operator of TheLucidDreamSite.com and Luciminal.com, and Top Monkey of Luciminal Nootropics. First image: 5-HTP by Michael Murray, ND, 1998. Great article, I would put myself in the class of natural lucid dreamer with highly developed skills after a lifetime of practice. Most of my Luicd dreams are WILD after WBTB. What you are saying is correct in my experience and all very interesting. I can achieve lucid dreams without supplements and have had several thousand in my lifetime. I use Galantamine and Choline for very good results but also get results on caffeine that are comparable if you get the dosage correct and can get back to sleep. I feel that G assists with dream entry after WBTB and C is what keeps me in the dream and sometimes on and off for hours. It would be very interesting to study individuals who have always had easy access to lucid dreaming…in popular culture we often associate “dreams” with “wishes,” but dreams are generally more concerned with threats. And the stronger REM is, or the deeper into a dream we go, the more threatening the themes and content can become. So, I wonder how this plays out with the natural lucid dreamer. Are their dreams qualitatively different than typical dreams? I remember in my early days of induction-work I was getting concerned because most of my dreams – even when lucid – seemed creepy or macabre or just had an aire of threat to them; when I began dream research I realized that almost ALL dreams were like mine and I wasn’t mentally ill (at least, not for this reason). And yet, due to natural variation, I wouldn’t expect all dreams or all dreamers to follow these typicalities. And yes – we have customers in NZ…I would prefer to hand deliver a package to there but for now, we can send them by mail. You would be most welcome to hand deliver some to me and I think we could find some interesting experiences to talk about. I find four general classes of dreams, vivid that I have aspects of awareness but do not make the leap to lucid. These are very real and will often reflect some issue of subject that is on my mind and has some emotional strength as well. They are are not literal but the links can easily be found. Three are the lucid dreams where I have a goal and will go get it, I may want to see something or do something or solve an issue and normally will over time get there. The fourth are mind blowing, they concern pure energy and light and I play with or become this light and also can have what I call void experiences in a dreamspace that is so hard to describe but also very real. A quick and dirty run down of 4 basic states that can be mixed in one session or bent and twisted in many ways . Great article, DL. Have you considered writing a book on the subject? As far as I know, Yuschak’s Advanced Lucid Dreaming is the only one on nootropics to help LDing. Something else: a friend gave me half a dozen Lucidmine capsules. I’ve taken three over a period of three weeks. I got one result, a short but promising LD. I’m going to use the 4th tonight. Your article has encouraged me. Wish me luck. Thank you and Lucid Golden Slumbers for you. Hi Edson, thank you for reading this guest article. And thank you for pointing-out that Lucidimine is no guarantee but I do think it greatly increases one’s chances. For me, galantamine in general (right dose-size for me, right timing, and IF I fall asleep) has about a 50%-success rate. I think that is big, even for an experienced lucid dreamer. And it seems like our customers have a somewhat lower rate – between 25% and 33%. One out of three or four lucidity attempts being successful may not sound like a lot to some, but for those people who have been trying to “get there” for a while with no good results…well, hitting the bullseye a quarter of the time is huge. Regarding a book: I did write a book on Lucid Dreaming and had it edited, about 10-years ago. Never published it. In retrospect, I didn’t have much new material to offer back then. One day I may publish something but web-articles are way more dynamic. In fact, any good lucid dream website on lucid dreaming can be a rich resource (you know that, you’re here). 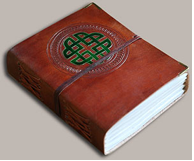 But, during my first lucid dream I did find a book…it was “The” book, whatever that means. Yuschak’s book is good; he actually has more recent articles/studies on the web which update some of the material he was conjecturing on back in “Advanced Lucid Dreaming.” I was happy to see that he came up with the same conclusions as I did because they were counter-intuitive and confusing at the time (like how certain nootropics block dream-recall). How to make money with dreams? A very good idea! Neuro-Dreaming as business. Doping of consciousness, exciting! LD with und without doping is an ancient technique why not commercialize it? The recommendation to take it only “a few times per month” is very clear in it’s unclearness.